Let people know who is working on their job site with a construction sign. 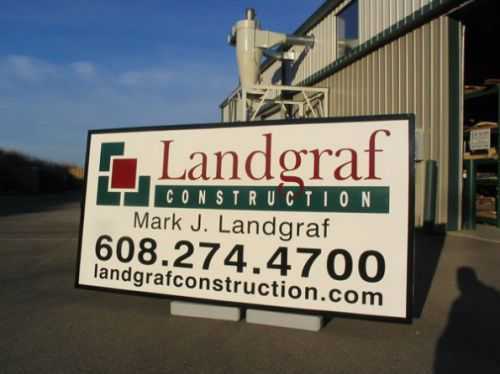 Our business signage makes a statement of professional quality. See our photo gallery of more contractor signs. Service Area: Madison, De Forest, Sun Prairie, Waunakee, Monona, Monroe, Edgerton, Mount Horeb, Cottage Grove, Marshall and surrounding communities.